There are so many reasons to give a handmade gifts, but some of these are absolutely essential for us. We start from the concept that a handmade gift is the most welcome gift when you want to make a truly meaningful gift to a special person!! It’s unique. A handmade gift is original and exclusive, it is unique, different from each other. For this reason, a handmade gift becomes a special gift. Also you’ll be sure that no one else will have given an object as your own. It is “handmade” at every stage. All phases of the making process are made by hand: the ideation, the realization, and also the packaging. It’s therefore a gift made with extreme care and attention to every detail. 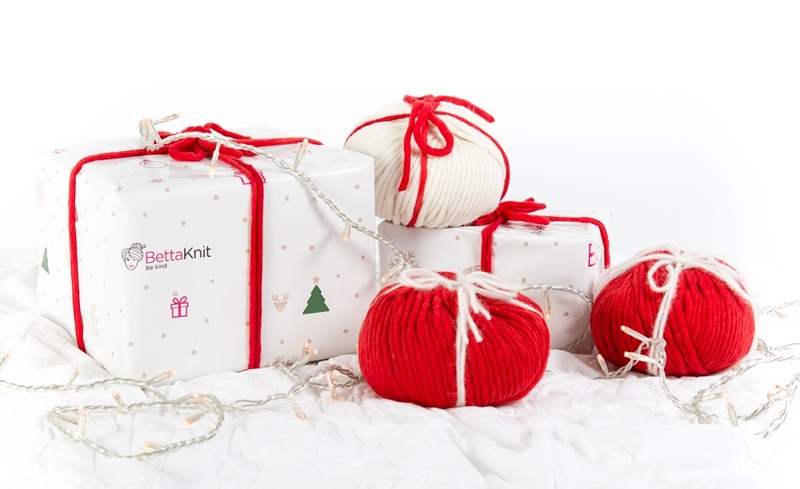 And if you choose BettaKnit wrapping paper you will add a final touch! It is made by a person who puts passion into his work. A handmade object is made by someone who loves what he does. In fact, every single item is made with passion, love and attention to detail. That’s why a handmade gift has a higher value! It is a clear message. A handmade gift is a gift that says to those who receive it “Here is a unique gift for a unique person!”. When you give and handamde gifts, you’re saying to that person who deserves something other than what everyone else give. You are not donating a whatsoever object, but all the love, attention, mastery that you gave in the realization of that object. It is a generator of “good vibes”. It’s nice to think that a handmade gift can spread a bit’ of that positive energy from which is born. It is the energy that is generated by passion, by effort, by the care of those who create it! it is exactly “good vibes” what most of all we would like to give to people we love. These are some of our best reasons … and you why and for what occasion did you give handmade gifts? …If not yet been, you too may be generators of “positive energy”: give handamde gifts for this Christmas!